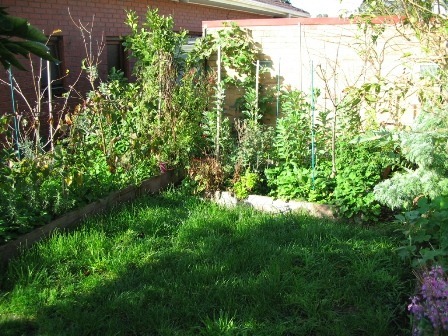 Here’s a picture update of the garden’s progress in late August 2011, the tail end of winter in Melbourne, Australia. The interesting thing is that this is the garden at its lowest point, where it has the least growing. 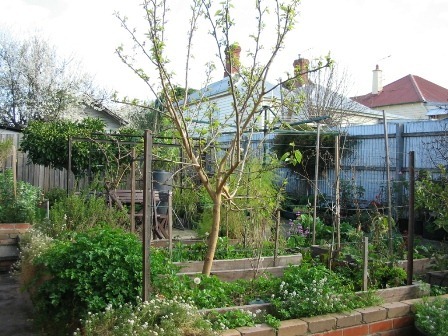 If you’ve ever wondered what food forests look like in winter, here are the pictures! 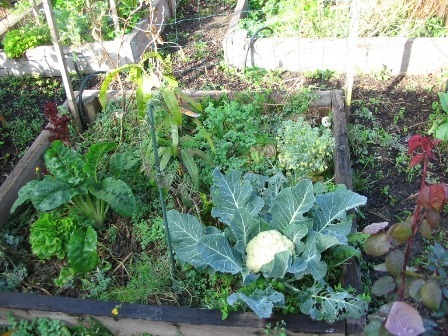 Winter vegetables ready to pick. 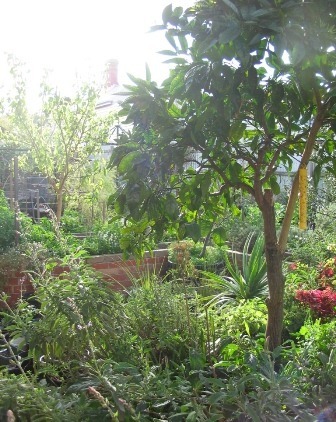 In the centre of the garden bed is a young Mango tree. 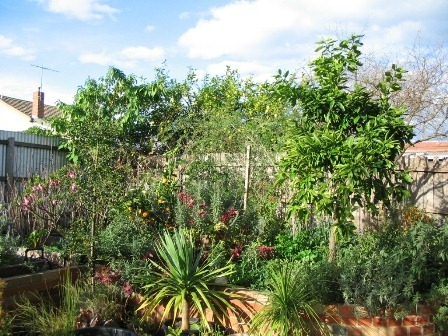 The mango variety Kensington Pride (also known as Bowen) can grow in cool temperate climates such as Melbourne. This variety also grows true from seed (fruit will taste exactly like those from the parent plant), so it’s really easy to propagate. 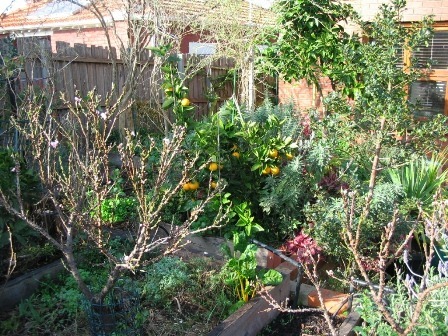 Dwarf orange tree (Valencia variety) can bee seen in the background, laden with fruit. 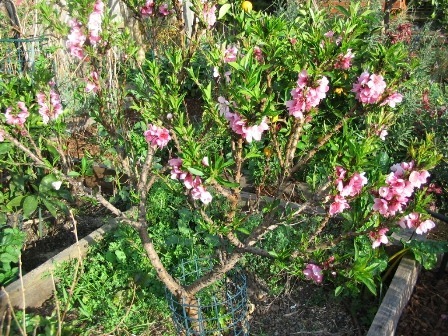 Here’s a closer look at the dwarf orange tree. 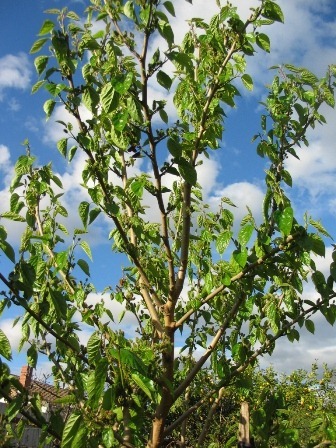 This variety is grafted onto what is known as a ‘Flying Dragon’ rootstock, which restricts the trees growth to around 5’ (1.5m). Dwarf citrus grow very slowly and will take a few years to get to their maximum size, I’m guessing around 5 or more years. 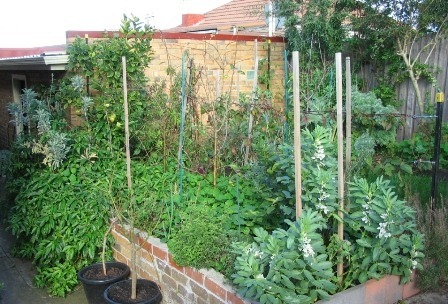 The only drawback is that you have a very tiny tree occupying the garden bed until it grows to size. This dwarf variety, incidentally, grows well in pots too. 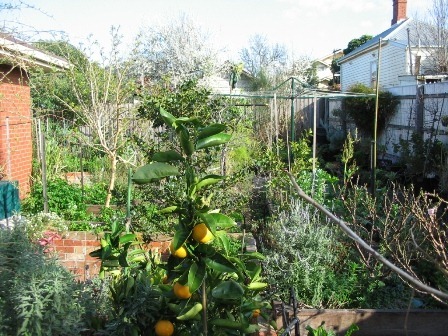 A fairly green garden for winter! 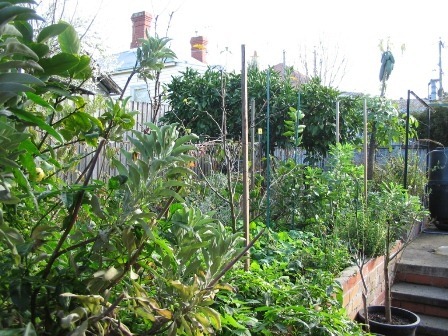 Even when most of the deciduous trees are dormant and many perennials have died down in the colder season, there are plenty of plants still filling out the garden beds to support the living ecosystem, which this food forest clearly is. Some winter colour never goes astray. Behind the purple flowered Primula is a Peppermint scented pelargonium, which, as you’d guess, smells like peppermint – exactly like peppermint, even more strongly than real peppermint! 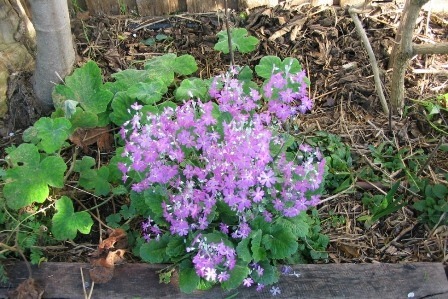 And unlike the rest of the pelargonium and geranium family, which grow in full sun, this one grows in shade and scrambles along the ground. This is a great plant for children’s gardens. 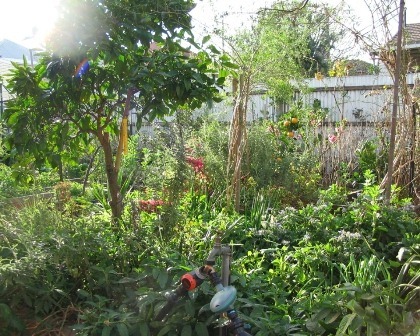 The ground cover is thick and lush underneath the four trees in this garden bed. 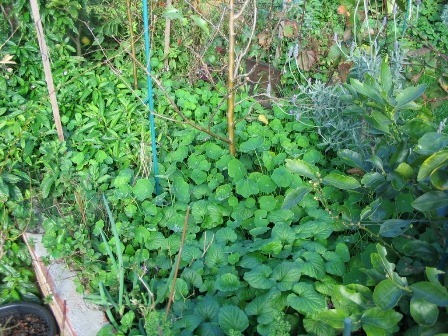 Here’s a closer look at the ground cover of nasturtiums and violets. 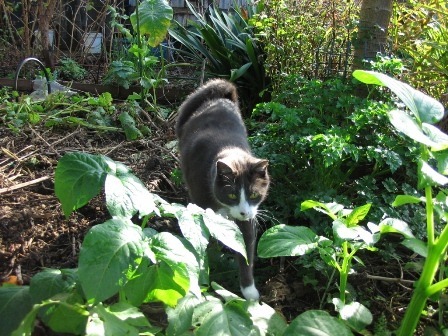 The ground cover is so dense, that plants cannot self-seed here, so there’s no need for weeding! 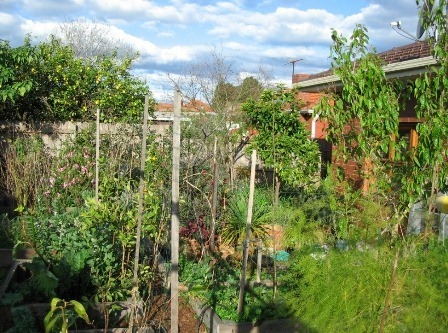 The view of the garden facing north-west. This is the view facing north-east. There’s plenty of life here, even in winter. This is the Black Mulberry tree, leaves beginning to emerge – yes, it is late winter! These are the grapevines growing on the west wall. They are a sultana grape, growing in a hydroponic system. 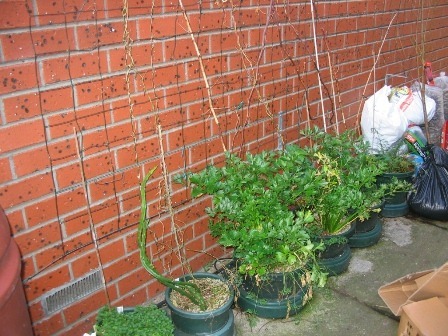 This is an experiment to shade the west wall from the hot summer sun, but to leave the wall bare in winter to take advantage of the sun’s warmth. A deciduous vine such as a grapevine is perfect for the purpose. 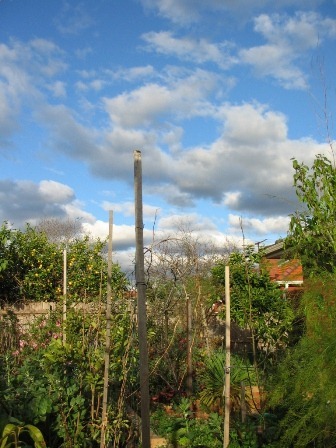 These are the tiny 10” (25cm) wide posts the grapevines are growing in. 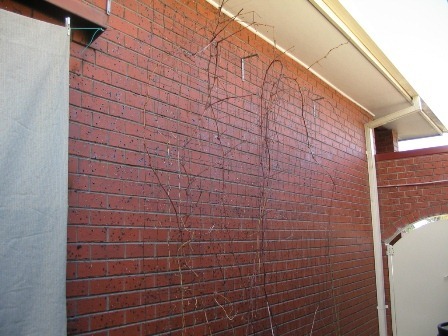 These small containers are supporting grapevines over 15’ (5m) long. It took them a year to grow to this height from cuttings, and it will be interesting to see if they can bear fruit in the coming summer. The pot on the left has a Dragon Fruit (a kind of tropical climbing cactus that produces edible fruit) growing in it. After two weeks, and there is considerably more plant growth. The north-east corner once again. 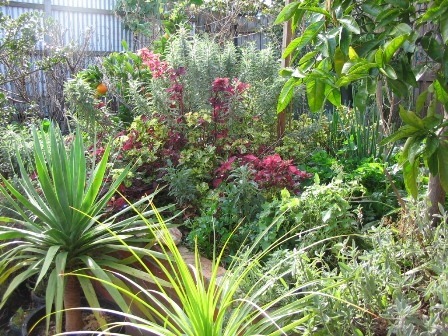 A view diagonally across the garden, showing the abundance of plant growth. Pepino (a tropical melon) growing densely in the foreground. The Black Mulberry now has leaves and mulberries growing! That’s the garden in August ! Just wondering when you ar planning your next tour and was wondering if Icould come along. Spectacular gardening here ! Thank you for the inspiration also. I’ve just finished reading all your pages on your site. Absolutely loved it. I listened to your presentation at a Stephanie Alexander kitchen garden professional development day. 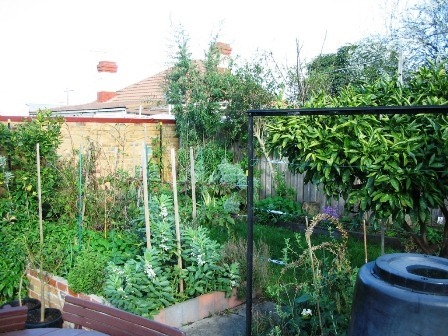 I am a teacher and garden specialist at a primary school and your site has really inspired me tI take your food-forest ideas and apply them to our school garden. So anyway, thanks heaps and keep up the updates! Thanks, all the best with the school gardens, and I’d better get some updates posted up sonn!